System Of A Down returning with new music and/or tour? 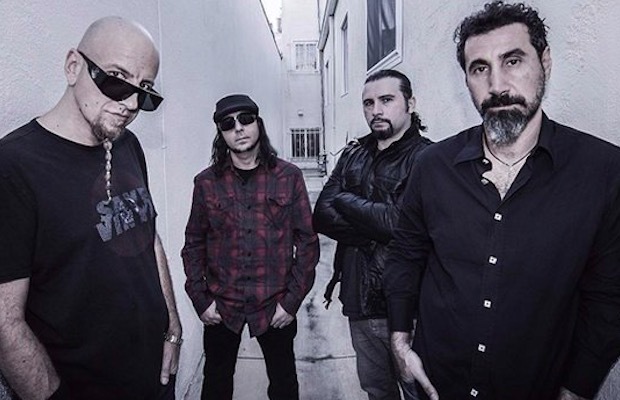 System Of A Down members Shavo Odadjian and John Dolmayan shared a pair of Instagram posts with the hashtag “#letsdothis” that have only made us wonder what’s actually going on. The photos tease some kind of rehearsal, though it isn’t clear what exactly they’re rehearsing for. Whether that be new music, which would be a first for the group in 11 years, or a tour, we hope this means something rad will be happening soon. Hope to hear more from System Of A Down? Leave us your thoughts in the comments below! Next articleEx-Asking Alexandria frontman Danny Worsnop releasing country album on metal label?